Many pets are reunited with their owners each year thanks to the microchip; an internal identification for your pet. 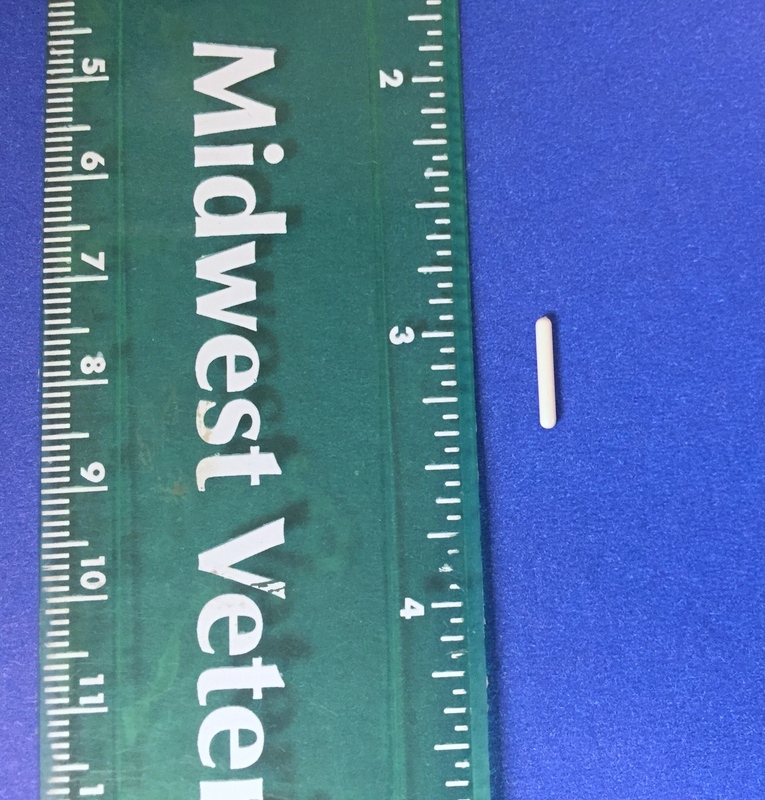 Animal microchips are about the size of a grain of rice and are usually implanted just beneath the skin between the shoulder blades. The process is similar to a vaccination and most animals do not react when the microchip is implanted. 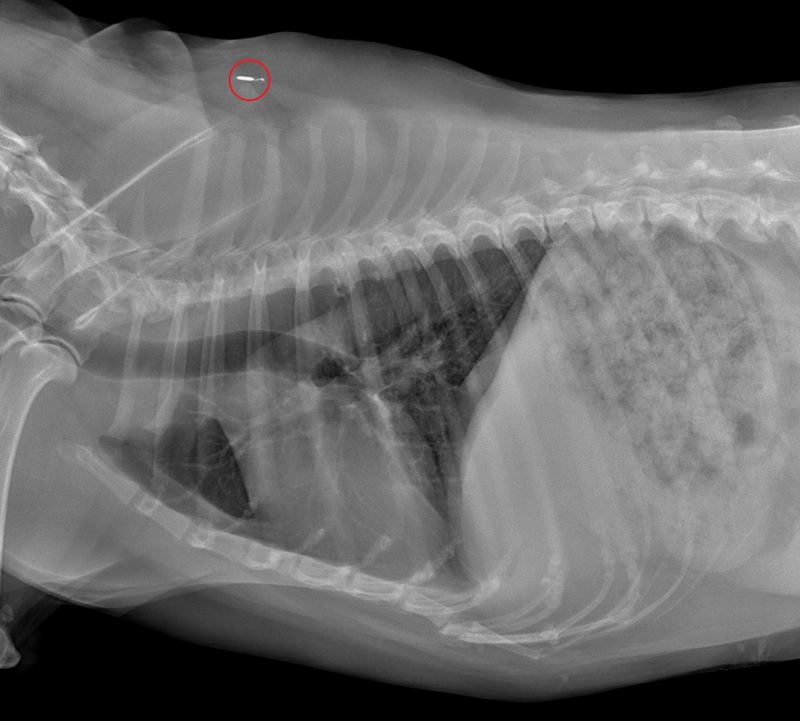 Microchips also show up on radiographs; below you can see where the microchip is placed.